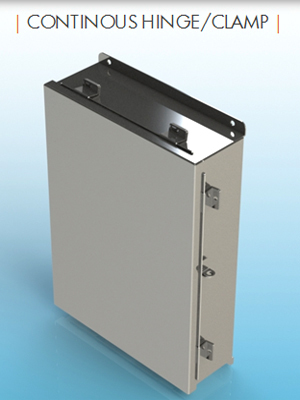 Nema Enclosures manufactures standard and custom powder coated carbon steel, 304 stainless steel, 316 stainless steel and 5052 aluminum electrical enclosures are designed and manufactured to meet Joint Industrial Council (JIC) standard guidelines that ensure product quality and uniformity. In addition, they are NEMA rated, UL listed and/or IP rated. Customize your electrical enclosure to your exact specifications with cutouts, insulation, hinges, latches, or locks.